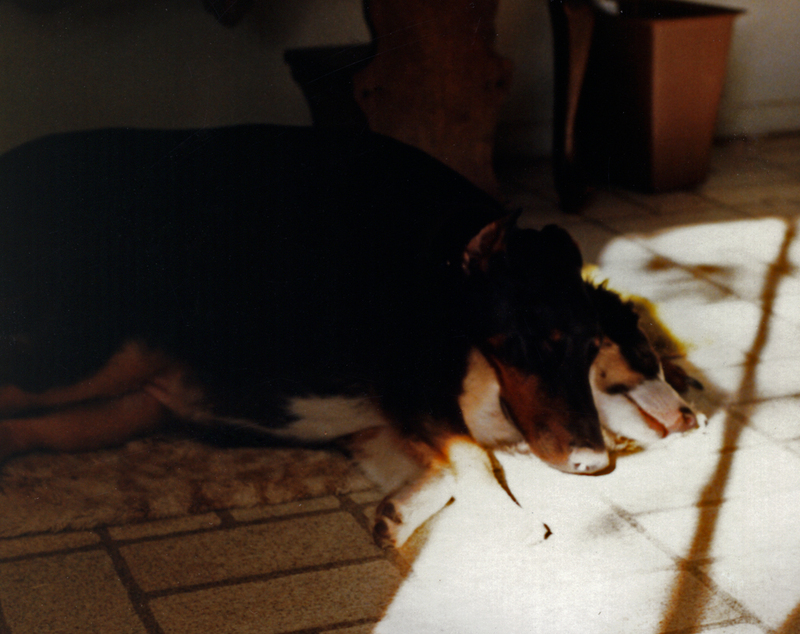 Capricorn Australian Shepherds got its start back in 1985, with…a Doberman Pinscher. Back in the mid ‘80s, my parents fostered and later adopted a stray Doberman named Max. When they decided to keep him, my mother decided to register Max for some Obedience classes out in Mesa with a training club, called Desert Dog Obedience. I used to tag along to class with her, and it was at these classes that I fell in love with the idea of being able to train my own dog. Unfortunately, Max was about 90lbs., and so was I, so clearly things weren’t going to work out well with my plans to heel him around in an un-fenced public park! Mom promised that our next dog would be something that I could train. Enter the Australian Shepherd. Medium-sized, fast-maturing, relatively long-lived, eager to please and easily trained. Mom did her research and came up with the perfect fit for our family. As it happened, one of her obedience instructors at Desert Obedience was also a founding member of ASCA, and he and his family bred Aussies. They put us in contact with a local breeder in Glendale, and the Thomas family went to look at a litter of pups. It is REALLY hard to say no to an 8-week-old Aussie puppy. I’m pretty well convinced that if Aussies don’t produce the cutest puppies out there, they are *really* near the top of the list. When the Thomas family walked in the breeder’s back yard on that fateful day in October 1985 to “just look” at the litter, my Mom’s immediate comment to my Dad, upon walking through the door to the back yard, was, “We’re sunk. One of these guys is coming home with us. TODAY.” Sure enough, one of the puppies snuggled into Mom’s lap, and wouldn’t leave her alone. Meeka. An hour later, we went home with signed paperwork, a small bag of puppy food, and one very excited 10-year-old kid. 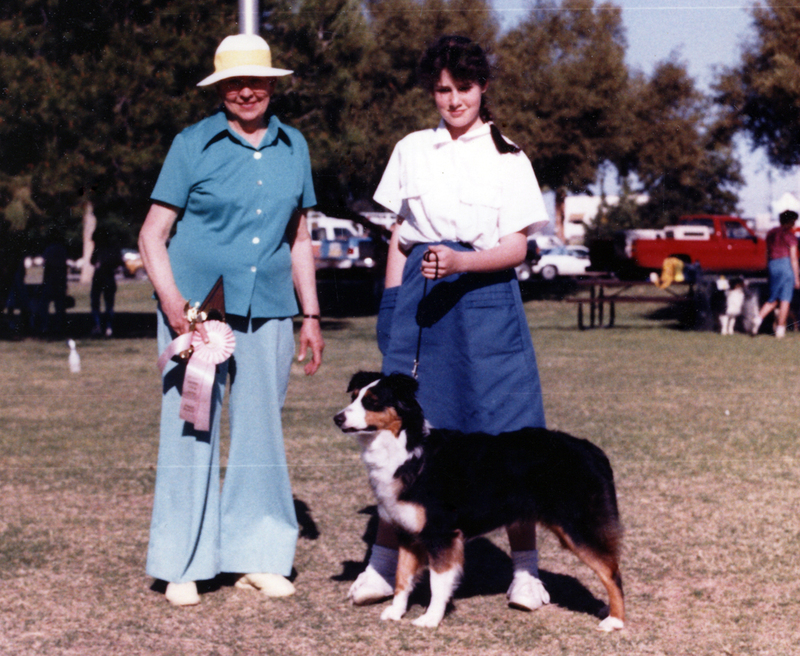 To make a long story short, I got my obedience dog, and true to her breed, she proved intelligent, trainable, and eager to please, even for an 11-year-old handler. With a little prodding from the instructor and the breeder, Mom entered Meeka and me in Pre-Novice obedience at a show in February 1986, and we got a qualifying score—a very respectable 189 out of 200! Winning at dog shows is highly addictive. I toted that pink rosette around everywhere. Every friend and relative I had was told about it. It went to school for show-and-tell. I was completely hooked. I really loved the teamwork and partnership I had found in the obedience ring with my new best friend, and I wanted to keep going. But I had also noticed this OTHER ring at the show, that had kids my own age running around in it…doing Junior Handling. I was fascinated. It was just like the conformation classes my Mom had been learning about from Meeka’s breeder, but it was all kids, all they had to do (as I saw it) was heel their dog and make it stand still for the judge, and they got really nice prizes for it! I insisted on learning how, and since it didn’t involve either boys or drugs, my mother agreed to also put me in some conformation handling classes over the summer. And thus it was that I began a very successful Junior Showmanship career, eventually expanding from Showmanship and Obedience to include Working. 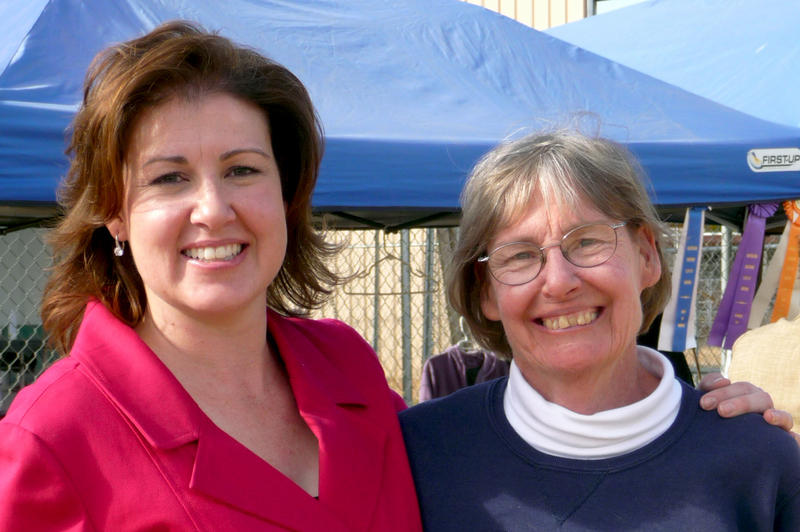 Meeka and I went on to capture several National titles and awards. And Mom got herself a dog, Harley. 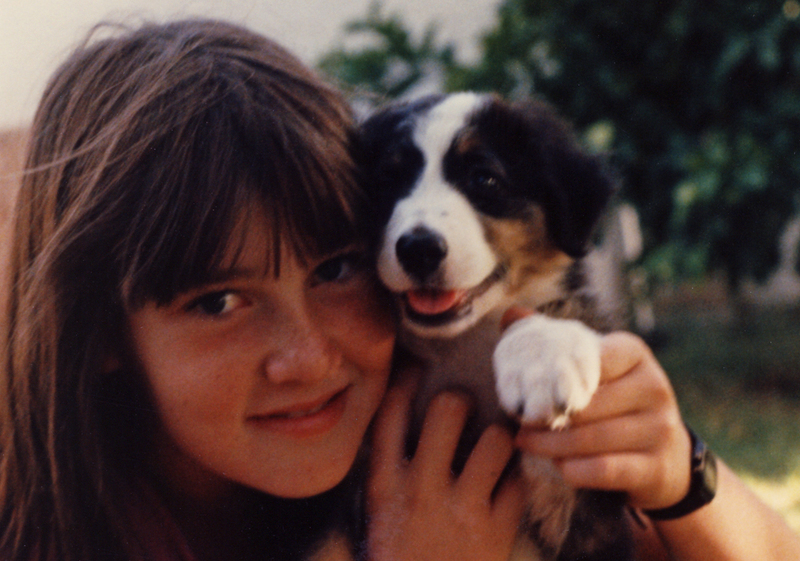 And then she got my sister a dog, Abbi, who was a half-sister to Meeka. And we got a lot of miles out of those girls on the show scene. When Agility was first starting as a new competitive sport, Emily trained Abbi in it, and in fact she was the first Junior to put ASCA/NADAC agility titles on an Aussie! At home, our dogs were (and still are) our constant companions, playmates, and partners in crime. They are members of the family, and they live in the house with us. And even now, thirty years later, all of the dogs we’ve bred can trace their lineage to either Harley or Abbi, and we still see their funny and endearing traits in their children, grandchildren and great-grandchildren. We’ve bred our females occasionally over the years, to produce puppies for ourselves and our close friends, but we’ve never considered ourselves a major player in the puppy-producing game. You won’t, at this point, find Capricorn-bred dogs outside of Arizona. And in fact, these days, between the increasing demands of our non-dog lives, and the frustrations presented by the increasing health-related issues in the breed as a whole, our breeding program is on indefinite hiatus. We look forward to a revival of our breeding program at some point in the future, when the timing is right for everyone involved. By then, we’ll probably be producing dogs that are totally un-trendy and “old-school”. 😉 Until then, we continue to remain active in competition with our dogs, and in judging this breed we care so deeply about.